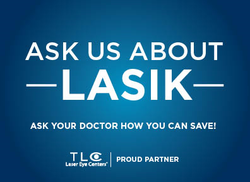 As our eye doctor can explain during your next eye exam, nearsightedness is mostly corrected with glasses, contact lenses or refractive surgery. Depending on the degree of myopia, you may need eyeglasses or lenses all the time, or only when sharper distance vision, like driving, or viewing a chalkboard, movie etc., is desired. Myopia (nearsightedness) is a common vision problem affecting children who can see well up close, while distant objects are blurred. Nearsighted children tend to squint to see distant objects such as the board at school.